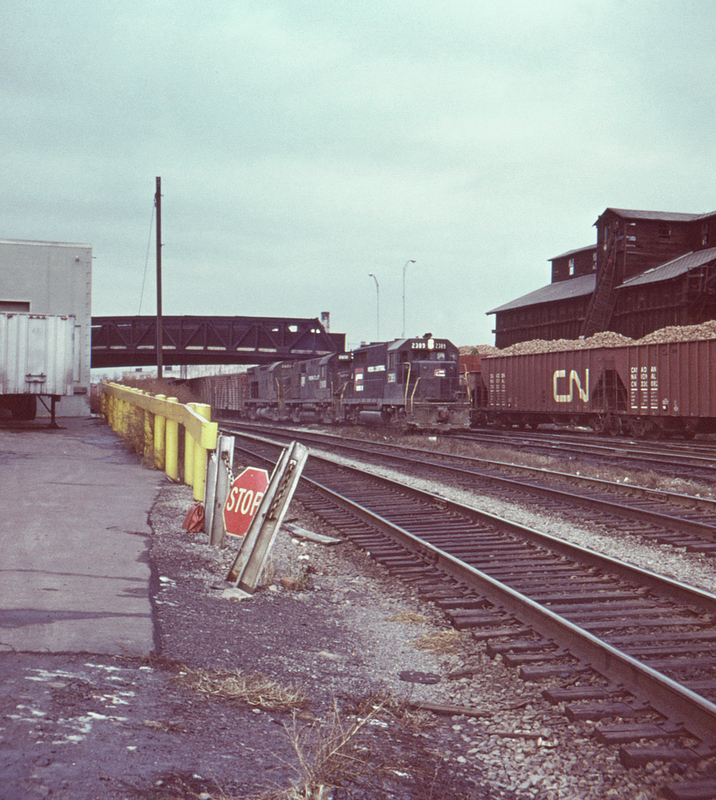 Here, seen from Circle Street in Rochester, New York, an eastbound Penn Central freight with the experimental red and white PC herald is about to pass the camera. The huge wooden coal tipple in the background was a long-established fixture at this time, but has been long-since demolished. The bridge over the tracks is Main Street.